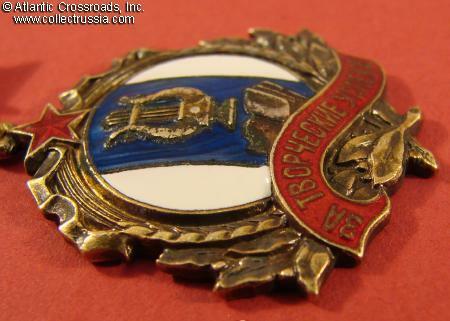 Badge for Creative Successes #1180, 1951. 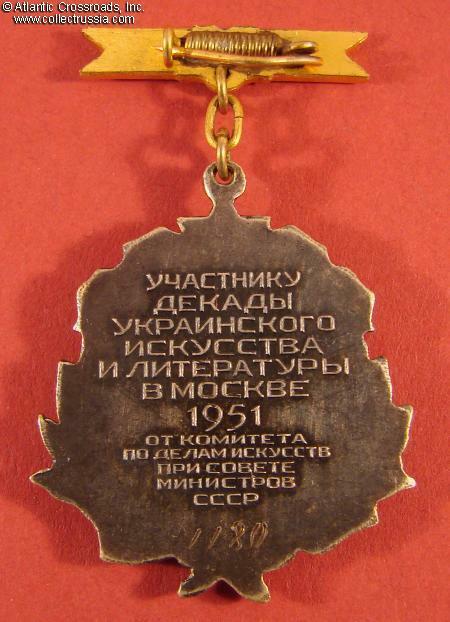 Silver-plated and gilded brass, enamels. 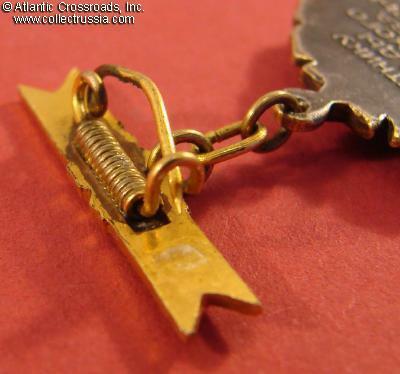 The pendant measures 32.4 mm tall (incl. eyelet), 27.8 mm wide. 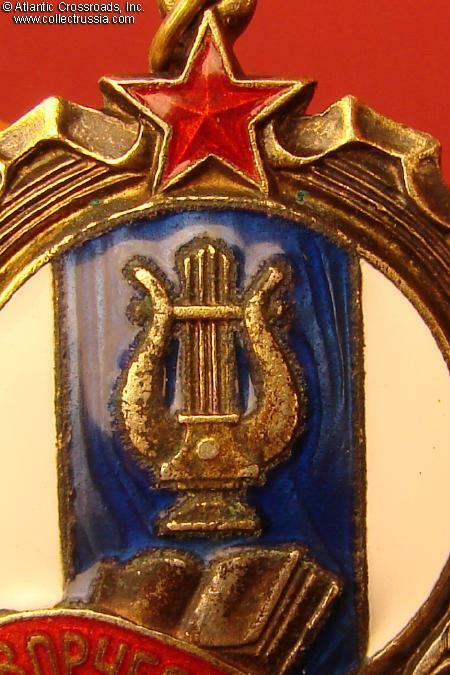 Very elegant design with lyre, book, wreath and the requisite red star topping a cogwheel. 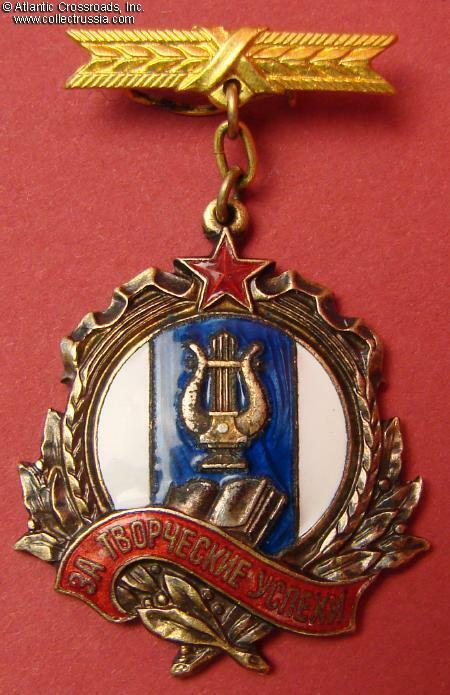 The writing in the red scroll is "For Creative Successes". 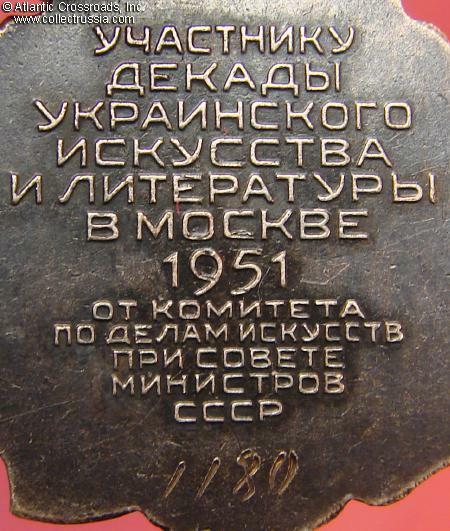 The reverse has engraved serial number "1180" and raised inscription "To a Participant of the 10-Day [Festival] of Ukrainian Art and Literature in Moscow, 1951, from the Committee for Arts at the Council of Ministers of the USSR". In excellent condition. Shows light oxidation in the central portion - not detracting. 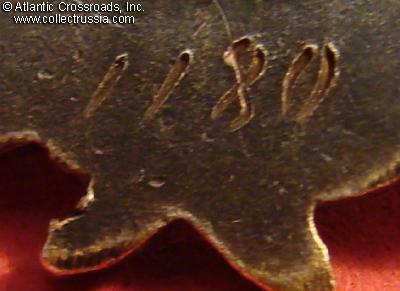 The enamels and details of the artwork and lettering are intact.